There’s no career more rewarding than healthcare; put your heart into it. Are you looking for a rewarding career in which you can improve the quality of life of others? The efficiency of our health care system is a top priority, and as a professional practitioner you are entrusted with making sure that clients receive the best possible care at the lowest possible cost. Whether you’re interested in working for a hospital, clinic, or other health and social establishments, you’ll be ready to make a positive difference in your organization of choice. You may be called upon to manage records, draft budgets, lead employees, and oversee facilities and equipment worth millions of dollars. Your daily activities will make an immediate impact on the community, and you’ll be in a unique position to make a lasting change in the lives of those around you. Gain an in-depth understanding of what you need to excel in the health care industry. Through the practice of fair governance, a public administration professional works towards applying policies, managing organizations, studying and meeting community needs, and effecting positive change within their institutions. Build the knowledge you need to plan, coordinate, and manage health care and social services. Obtain essential skills in operations management, leadership, and finance to take you further in your career. Methods of budgeting in the health care system and evaluating health care investment proposals. Problems of benefit measurement and optimal public investment in relation to fiscal and political constraints. This includes the role of governmental expenditures, the public debt, private contributions in the health care system. This course will provide an overview of private and public social services within Quebec and its evolution over the last century. Will examine the structures, functions and relations of social organizations. Students will achieve an understanding of the nature of the social services and the subjective impact of seeking and providing help. Understanding the responsibility of management for the timely appraisal of programs and services delivered by health and social services organizations with a view to ensuring their quality, safety, effectiveness and efficiency.Topics include: program evaluation, continuous quality improvement, organizational performance, utilization management, risk management, accreditation and human resources. Fundamental approaches of information systems and data management.Topics covered include: integration of technology in the health care system; use of information technology and management systems to improve access, quality, safety and efficiency. The legal and ethical issues relevant to the health care system in Quebec. Topics include: major legislation relevant to the health care system; the relationship between civil and criminal law; law and medicine; law and ethics; human rights, professional responsibility and liability. An overview of the present Québec and Canadian health and social service system: its components, organization, management and challenges/uncertainties; its recent evolution, present organization and foreseeable direction. Interaction and interface between the health system and other social systems; roles and various levels of government and private sector. Information systems and data management fundamentals; understanding of integration of technology in the health care setting; effective use of information technology and management systems to improve the quality, safety, access, and cost-effectiveness of health care. Health care system in Quebec, the federal and provincial law relevant to it. Explores relationships between civil and criminal law, law and medicine, law and ethics. Major legislation, case law and legal writings will be presented. Addresses human rights, professional responsibility, civil, criminal liability and dilemmas raised by new technologies. How to develop, implement and manage effective health and safety programs; competencies and roles of employees, supervisors, executives and HR; strategic, legal and ethical implications of legislation, risk behaviour; socio-psychological aspects of mental and physical health and safety issues; communications and training strategies. This online course allows participants to gain fundamental knowledge about post-traumatic stress disorder (PTSD) as described in DSM‐IV‐TR . Participants – professionals or students in mental health – will learn how to recognize the symptoms associated with PTSD and assess their frequency and intensity. This course also allows participants to familiarize themselves with the concepts of distress and peritraumatic dissociation. "I'd never organized or headed a big project, and now I have useful guidelines on how to proceed. I've already applied what I've learned successfully on the job." 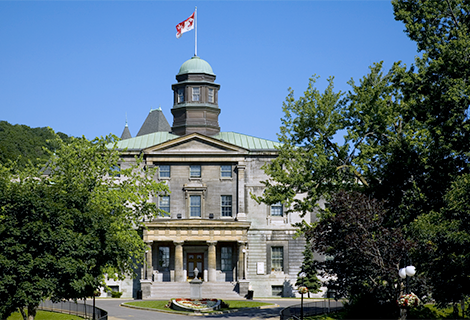 The McGill School of Continuing Studies offers customized professional development and educational opportunities for local and international partners. 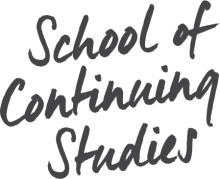 Whether you are a small or medium-sized enterprise, a multinational corporation, a government body, or an educational institution seeking specialized courses, workshops, or a comprehensive program for your employees, the School has the solution for you.